This Halloween The Real Mary King’s Close gets darker than ever before with a special late night ‘The Dark Truth Tour’ that promises to delve deeper into Edinburgh’s murky past. 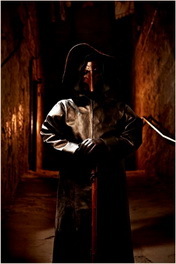 Back for the most spooky night of the year following its Festival Fringe sell out, visitors can descend into the warren of underground streets beneath the city’s Royal Mile to encounter more of the haunting characters who once roamed Edinburgh’s Old Town from the 16th to the 21st century. 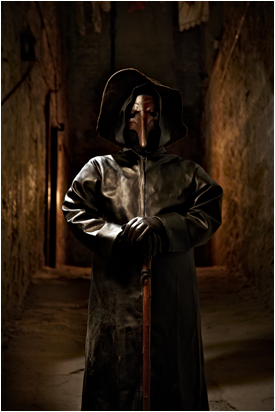 Not for the faint hearted, this interactive tour will reveal the whole truth behind the myths and mysteries that shroud Edinburgh’s hidden city with sinister tales of plague and pestilence and murder most horrid witnessed by those who lived, worked and died in the closes. From body snatchers and witch prickers to the notorious plague doctor Dr George Rae, audiences may find themselves at the centre of direct scrutiny as they learn that Edinburgh’s now picturesque Old Town was once rife with crime and corruption. The Dark Truth Tour launches the attraction’s first ever ‘Close Fest’ which is a week long programme of one off events in celebration of the attraction’s ten year anniversary since opening as one of Edinburgh’s top visitor attractions. This tour contains adult themes and we recommend suitable for those of ages 16 years+. Please wear suitable footwear as there is walking involved, uneven surfaces and steep inclines. Guests are advised to arrive 10 mins prior to tour time. Tours start promptly and latecomers will not be admitted. Next PostNext Celebrate St Andrews Day with us!